Growing Green: Men, Can You Innovate Like These Two Sweet Women Did? Men, Can You Innovate Like These Two Sweet Women Did? Back in time, the young Dorothy and my young mom, Orleen, were fishing friends. This unusual fishing episode unfolded in a 12-foot rowboat, probably in 1945. Mom and Dorothy brought me, a naïve 6-year-old, to gain fishing experience by watching. 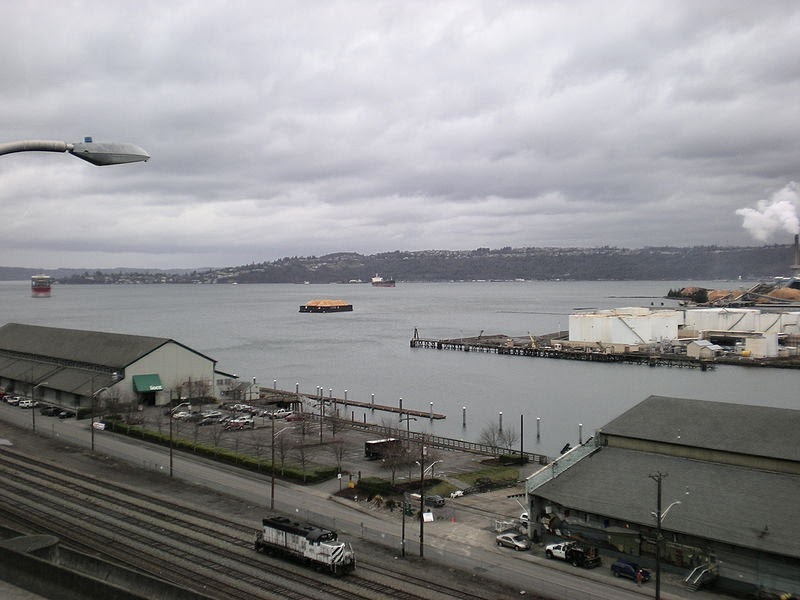 With Dorothy rowing, we moved from a boathouse on the Puyallup River downstream into Tacoma’s Commencement Bay. The women anticipated catching perhaps two or three highly-valued salmon. Once out in the bay, with the buildings of downtown to the west and shipyards to the east, they baited their hooks with herring. They began to troll in the salt water, tinted brown with river water and “soup,” the waste water from a pulp mill situated on a riverbank near the mouth. Delighted, Orleen soon hooked a fish. The fish put up a good fight but Orleen was able to begin reeling it in. When she’d finally pulled it up to the boat, I could see that it was a beauty! But suddenly Dorothy recognized a problem: they’d forgotten their gaff hook. If they’d had one they would handle the salmon the normal way, by slipping the hook under a gill, hoisting the fish into the boat, and clubbing it on the head with the stout wooden handle of the club. From there on they’d clean the dead fish back at the boathouse, divide up the meat, and entertain their respective families at a feast that everyone wanted. They desperately wanted to keep the feisty fish. Even while the fish was flopping with all of its energy and fighting to escape, Dorothy leaned over the side and slipped an index finger under a gill. With no problem she lifted the salmon into the boat. Once in the boat, the fish began to flop wildly on the floor. It seemed inevitable that it would jump ship and be gone. With no club available the two women had to invent a substitute action right away. Hit with an oar, or what? 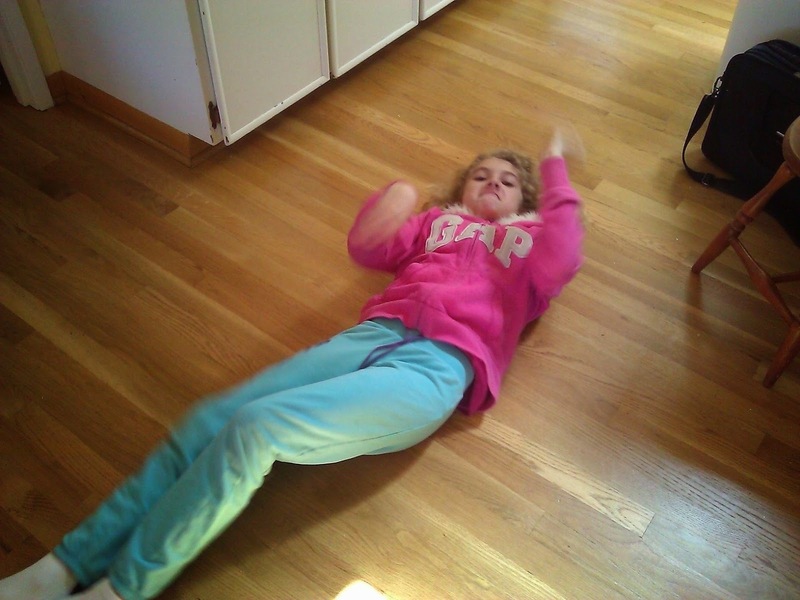 (Photo: Orleen's great granddaughter illustrating "flopping." With effort, Dorothy and Mom stretched the flopping fish out on the middle seat where Orleen sat on it until it flopped no more. I’d been sleepy earlier in the trip, but now I was totally astonished. The women? They just got back to fishing once again after a few laughs. This is my submission for Women’s History Month, 2014 in honor of Dorothy and my mom. Behavior under stress reveals a lot about one’s spirit, and spirit is the foundation for doing well in many realms. Dorothy and Orleen were acclaimed for doing well in music and family life. Note: This is one several great fishing stories in Growing Green Two Ways! If you enjoyed this read, purchase the book now and get more fun.